In honor of the 3rd Annual San Francisco Street Food Festival this weekend, I’ll be featuring three La Cocina business three days in a row. All three founders have great stories and big ambitions. I hope you’ll be able to visit the festival and sample the goods! 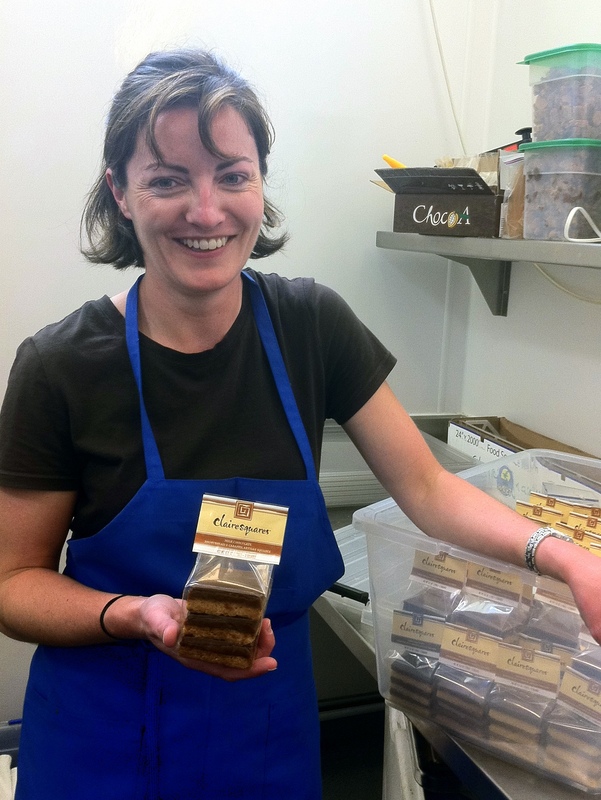 Claire Keane, born and raised in County Cork, Ireland, used her mother’s cookbook to bake caramel shortbread squares and sold them to her friends in high school. The squares are a traditional high-end Irish treat that you’d find at fancy hotels and restaurants around Ireland. She hadn’t touched the recipe in ten years when she decided to bake them again for a dinner party while living in the US. Her friends immediately convinced her she must restart baking and selling the addictive treats. Looking for a career change away from environmental science and towards entrepreneurship, Claire jumped on the idea and started her own business in 2006. She experimented with the recipe, tweaked it, and personalized the name. 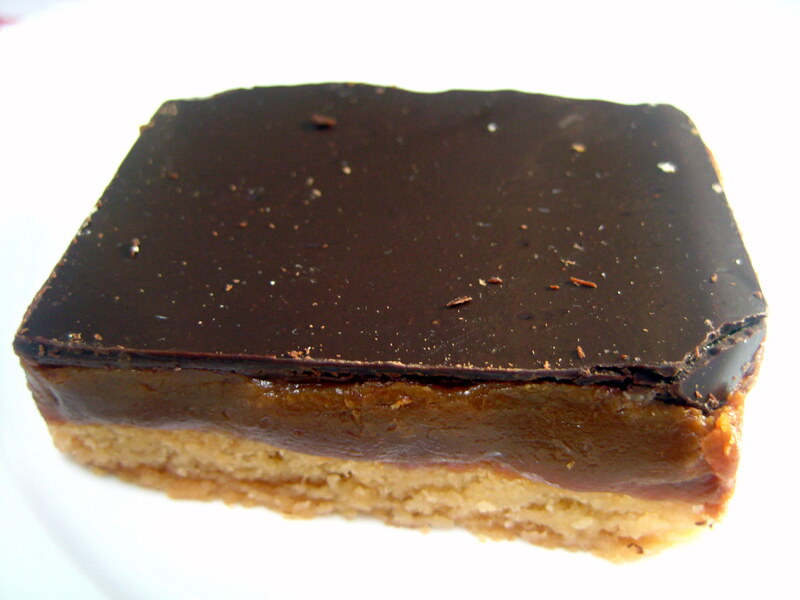 Caramel shortbread squares became Clairesquares. Over the past five years her business has grown, both on its own and within the La Cocina incubator program. She currently has three employees, distributes her goodies across the West Coast, from Seattle to Los Angeles, and is ready to graduate from La Cocina. Graduating from La Cocina means that her business has become self-sufficient and she’s ready to expand. She is looking for her own kitchen as well as her own storefront. Both a larger kitchen and a storefront will allow her to expand production of her current products (dark chocolate Clairesquares, milk chocolate Clairesquares, and buttery shortbread squares) as well as to experiment with new and seasonal products. For the holidays she’s planning to release two seasonal products: Christmas plum pudding and Brandy Butter, both traditional Irish and English holiday treats. A larger kitchen will give her the capacity and storage she’ll need for an expanded product line. The plum pudding, for example, needs to sit for at least three weeks, which would be difficult to do within the La Cocina space. A retail space will also give her the opportunity to test new products and packaging firsthand with consumers. I sampled all three of Claire’s current products and, let’s just say I had to ask my fiancé to take the rest of them with him to work to keep me from scarfing them all down. The dark chocolate Clairesqures were my favorite: a flaky and buttery shortbread square with thick caramel and a thin layer of dark chocolate. Absolutely delish.